Subscriptions will be mailed out in December for the residents of Palmer Township, Wilson Borough, West Easton Borough, Stroudsburg Borough, East Stroudsburg Borough, Stroud Township and Delaware Water Gap. The membership will run January 1, 2018 to December 31, 2018. Please contact our Billing Office at (610) 253-3548 for more information. Suburban EMS will be supporting the annual pre-Thanksgiving game bonfire on Wednesday, November 22, 2017 at Easton Area High School. 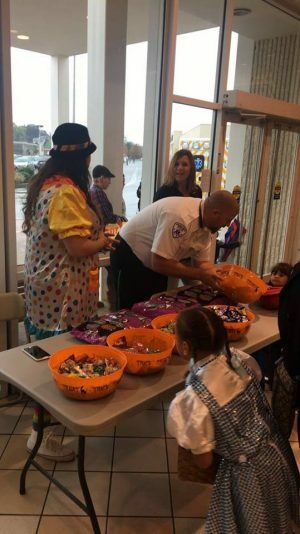 Suburban EMS staff hand out trick or treat candy at Palmer Park Mall on Saturday, October 29, 2017. (Pictured: Alicia Melhem, Ryan Hoff and Barb Reilly). 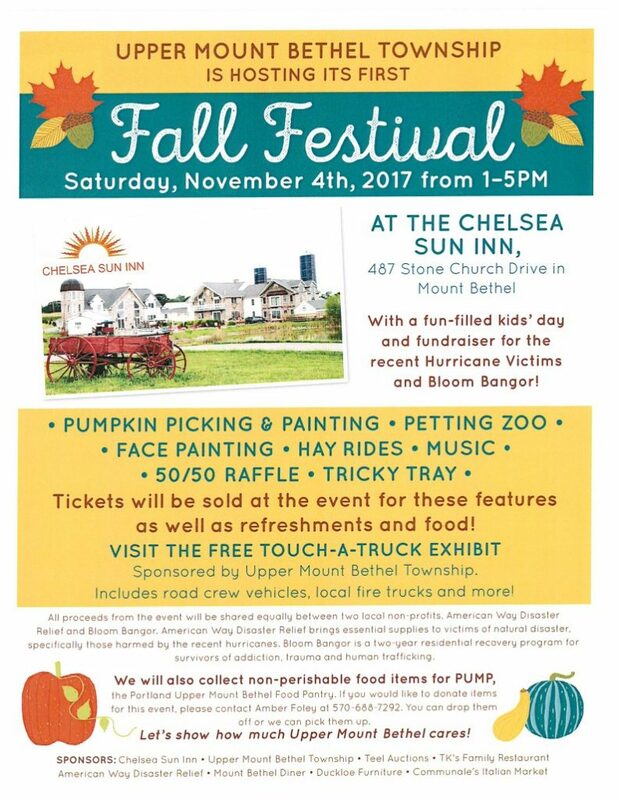 Suburban EMS Staff will be on hand at the Festival and participating in the Touch A Truck exhibit. Please stop by to see us! Sunday, November 5, 2017, 2:00:00 am clocks are turned backward 1 hour to Sunday, November 5, 2017, 1:00:00 am local standard time instead. Sunrise and sunset will be about 1 hour earlier on Nov 5, 2017 than the day before. There will be more light in the morning.